Looking for the best respirators money can buy? From pesticides, to spray painting, woodworking, and even mold, we picked the top respirator to get your job done! Our #1 all around respirator goes to the 3M Professional Respirator. You really can't beat the quality, backing of the strong 3M brand, and the affordable price point. Why is it our #1 pick? On top of quality of life niceties, 3M is also featured as NIOSH-Approved for P100 Respirators. The product listed above is rated to filter organic vapors (OV), acid gases (AG), and provide at least 99.97% filtration efficiency air particles including oils. What this means is that this product is capable of being deployed for just about any scenarios requiring air filtration including: Asbestos, Spray Painting, Pesticides, Woodworking, Mold, Lead, Solvents, Chrlorine, Sulfur, Hydrugen Chloride, Sulfur Dioxide, and many others. The facemask comes with easy to adjust straps to ensure a snug fit to your face. Overall, it's one of the best respirators available and our top choice for your air filtering needs. Looking for a top full face respirator? Check out the Honeywell Opti-Fit Silicone Facemask. It's also a P100 with improved audio transmission, and anti-fog for superior optics. Want to learn more about respirators? Keep on reading for a full breakdown. Today, we are faced with a wide variety of activities at home and beyond that simultaneously expose us from a spectrum of hazardous pollutants in the air. From spraying pesticides and paint to removing mold and asbestos, a good and functional respirator is all we need to protect us from all types of air contaminants. And even better, an overall respirator significantly eliminates the hassles and disadvantages of utilizing single-use equipment for specific activities. This article will guide you through the twists and turns of finding the best overall respirator in the market today. What's the difference between respirator types? When would you use a respirator? What Should You Know About Respirator Filters? 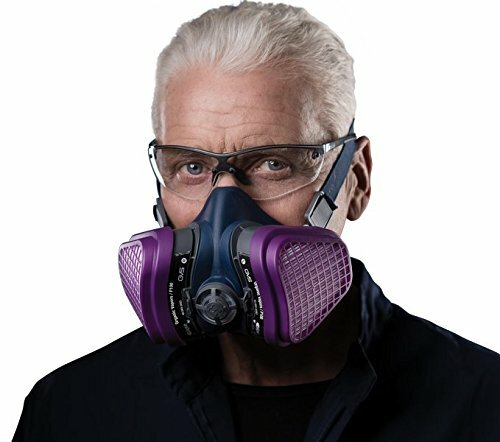 Difference Between Full Face and Half Face Respirators? Which is better? Short on time? Check out the below list for the products we looked at in this review. If you have more time, keep on going for more information on each. Respirators are a special type of apparatus designed to provide protection for the wearer. Either worn over the nose and mouth (i.e., half mask) or completely covering your eyes, nose, and mouth (i.e., full face mask). The respirator's main role is to prevent the wearer from inhaling any type of particulate matter or contaminant present in the surrounding air. Examples of hazardous substances blocked by respirators are fumes, chemical gases, vapors, mists, smoke, dusts, and sprays. Through the help of respirators, we are able to do certain complex tasks without compromising our respiratory health. The main function of respirators is to filter the air that we breathe and prevent all types of hazardous elements that are present in the air from entering into our respiratory tract. In order to perform efficiently, respirators are equipped with multiple layers of filtering materials in order to trap both particle and gas based contaminants. Filter materials of this type of breathing apparatus are also equipped with an electrostatic charge that allows the device to filter out particles without negatively affecting the breathing resistance that will be experienced by the wearer. In supplied air respirators, the device is equipped with a battery powered canister that extracts the surrounding air into the filter supplying the wearer with clean and safe air through a hose that is connected to the mask. Again, there are two main types of respirators. (1) Air purifying respirators, which are used to purify the surrounding air before being inhaled. (2) Atmosphere-supplying respirator, which are used to provide clean air from a storage tank worn by the user. For the purposes of this article, we'll be focusing on air purifying respirators, which use cartridges to detoxify the air. It's important to understand these pieces as they dictate what kind of air you can breathe in. When it comes to cartridges, what you should be paying attention to is the rating and letters next to the product description. These letterings are classes and are assigned and approved by The National Institute for Occupational Safety and Health (NIOSH). The letters "N", "R", or "P" indicates how resistant the respirator is to oil. This is important because oil can reduce the effectiveness of your unit. N95: Filters at least 95% of airborne particles, no resistance to oil. Surgical N95: Filters at least 95% of airborne particles, no resistance to oil, but is also cleared by the Food and Drug Administration (FDA) as a surgical mask. N99: Filters at least 99% of airborne particles, no resistance to oil. N100: Filters at least 99.97% of airborne particles, no resistance to oil. R95: Filters at least 95% of airborne particles, has a somewhat resistance to oil. P95: Filters at least 95% of airborne particles, strongly resistant to oil. P99: Filters at least 99% of airborne particles, strongly resistant to oil. P100: Filters at least 99.97% of airborne particles, strongly resistant to oil. A good respirator should be tight-fitting to ensure no leakage. These features directly depend on the type of materials used in making the device. Canisters are usually made of styrene plastic which has undergone high pressure molding. The material is a special type of thermoplastic resin which is critical in the ensuring the durability of the component. The facepiece of a respirator can be made by a variety of materials. Depending on the type and brand of the respirator, the facepiece is either made of silicone, neoprene, and natural rubber. Durability is a critical factor to consider when trying to secure a reliable overall respirator. The overall durability of the device directly depends on the type of material used to manufacture the respirator. Majority of high end respirators are typically made of silicon rubber that can deliver a sealed fit and dependable durability. ​Air quality varies from place to place with the volume of possible contaminants getting directly affected by surrounding circumstances. Specific complex tasks can also significantly disrupt the breathability of the surrounding air. 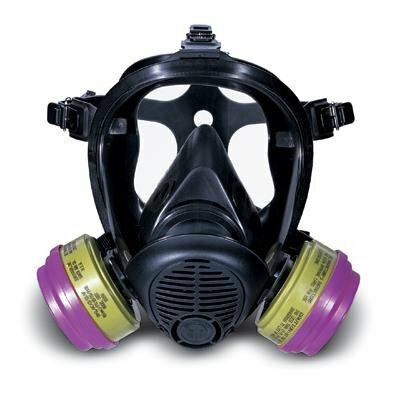 Considering the harsh chemical components that are present in pesticide solutions, wearing a respirator is imperative in order to thwart any level of respiratory hazard while performing pest control tasks. In fact, majority of pesticides strictly require the use of a specific respirator which is often emphasized in the product label. In applying and/or mixing pesticide chemicals, a chemical cartridge respirator is often used. 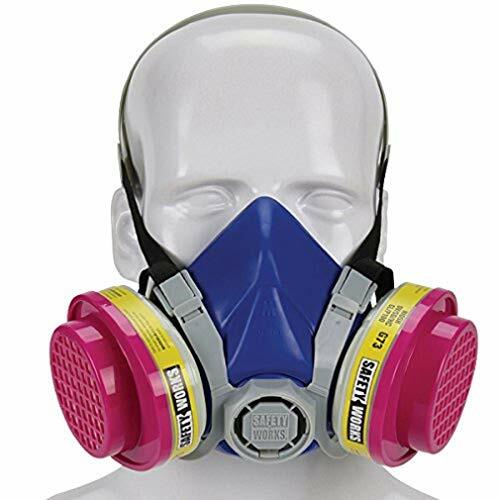 These respirators are designed to prevent hazardous vapors and gases from being breathed in by the wearer. Have you ever heard of mesothelioma? Well, it's just a certain type of cancer caused by asbestos exposure. If you are living in a house built before 1980, there's a good chance that you are surrounded by asbestos particularly in your old floor tiles, in your pipe cement, siding, and insulation. In fact, even newer homes can have traces of asbestos in various sections of the structure. And whether or not your house is under renovation, you and everyone in the family is in constant exposure to the hazardous mineral. Asbestos is a fibrous mineral and a pretty scary one. Small quantities of airborne asbestos can inflict serious damage in your respiratory tract particularly the lungs. 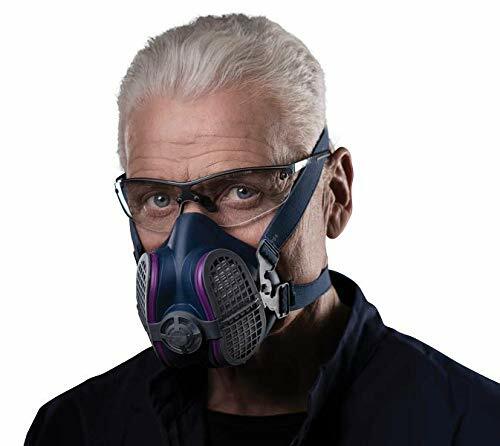 Whether you are removing the asbestos yourself or just supervising the progress of the job, it is vital to put on a full face respirator that can offer protection not just to your lungs but your eyes as well. When using a respirator for asbestos removal, it is critical that your device is equipped with a P100 (HEPA) filter. These filters are designed to efficiently block 99.9% of particles or contaminants in the air. Mold exposure can easily lead to a variety of allergic reactions such as runny nose, coughing, wheezing, rash, and itchy eyes. Furthermore, individuals currently suffering from asthma and certain respiratory diseases will experience worse effects when exposed to this type of household fungus. For responsible homeowners, mold remediation is the only best solution for such problems. And in order to significantly reduce potential health risks, it is encouraged to utilize at least an N95 respirator. This special type of personal protective equipment is often used in a construction setting to protect workers from dust and various small particulates. N95 masks are also used in the healthcare sector preventing the wearer from being exposed to both liquid and airborne matter in the form of microorganisms and body fluids. ​When doing some painting work, you need to maintain the optimum condition of yourself in order to yield the best results. And wearing a mask should be at the top of your list to effectively and safely accomplish the task at hand. Selecting a respirator for the job depends on the surrounding circumstances. Spray painting in an open space requires a particulate mask. On the other hand, getting the job done in an enclosed area needs a respirator with disposable cartridges. Unfortunately, we're living in an era where smoke is a normal part of daily life. However, it doesn't mean that there's nothing you can do to protect your lungs from the serious effects of prolonged exposure to smoke. ​Typically, N95 and N100 types of masks do well in protecting the wearer from harmful particulates present in different types of smoke. Just be sure to choose a two-strap mask to secure a sealed fit. We'll also mention that the smoke prevention is limited to small bouts of smoke and not full fires (e.g., firefighter type masks are specially designed). The dust mask serves as our first line of defense against a wide spectrum of dusts present in our surrounding air. You can either go for the disposable type for single-use or the reusable mask that goes with replaceable filters. Particulate filters or dust masks are effective in blocking different types of dusts such as wood, concrete/silica, chalk, and rubber. These masks are classified with different ratings depending on their efficiency in blocking dust type particulates. Bigger number means greater efficiency. Yes, respirators do expire. The facemask itself should be fine, but it's the cartridges you should be aware of. Always check the expiration date on your cartridges before use. Can The Elderly Wear Respirators? Possibly, but breathing through a respirator is more difficult than normal breathing, therefore it may be difficult for an older person to make use of a respirator. Will Respirators Work In A Fire Type Situation? No, most respirators are not built to filter out the thick smoke from a fire as well as provide the needed oxygen to prevent asphyxiation. This is why firefighters wear dedicated oxygen tanks. As their names imply, half face masks are worn to cover the nose and mouth areas whereas full face respirators provides protection to the entire face especially the wearer's eyes which are also quite sensitive. Actually, the efficiency of the respirator does not depend on whether or not it provides full face coverage. As discussed earlier, respirator efficiency directly depends on the filters used. Deciding when to use a full face or half face respirator depends on the type of task you are planning to accomplish or the severity of the air environment which includes the types of contaminants present (particulates, vapor/gas, or both) and the volume of involved pollutants. Made by one of the most trusted makers of overall respirators, the 3M Professional Respirator is a true innovative masterpiece. The mask is simply designed to provide optimum functionality matched with secure and comfortable fit. This half face mask is available comes in medium, which should fits most users given the strap adjustments. It's perfect for pesticides, spray painting, woodworking, mold removal, and just about any other job that requires air filtration. Some ​individuals are looking for more functional features that they can count on under extremely challenging environments. Honeywell Survivair Full Face Respirator packs an arsenal of air filtering solutions. This full face mask offers a spectrum of new features that you'll never find in an ordinary respirator. An anti-fogging nose cup and speaking diaphragm design are to name a few. The straps are directly attached along the rim of the mask in order to significantly reduce discomfort on the usual pressure points wearers typically experience in using respirators. Honeywell Survivair is nothing short of clear wide viewing mask matched with superior comfort. ​Safety Works Multi-Purpose Respirator offers high end filtration work that's pocket friendly. ​For those who prefer a low profile respirator, the GVS Elipse is another considerable alternative. The mask's compact and lightweight design makes it easy for the wearer to work under challenging environments more efficiently. The mask is equipped with two non-slip adjustable straps that offer a secured and sealed fit on all head sizes, especially the sweaty ones. The device is also geared with a large central non-return valve that works perfectly in reducing breathing resistance. The GVS Elipse half mask respirator is significantly lightweight although it looks a little bulky compared to typical compact devices. Its two-strap support works perfectly with other eye and ear protection equipment. ​The half mask is designed to deliver low breathing resistance without compromising its protection capability against organic vapors. Equipped with P100 filters, the respirator is prefect for use on paints and solvents. 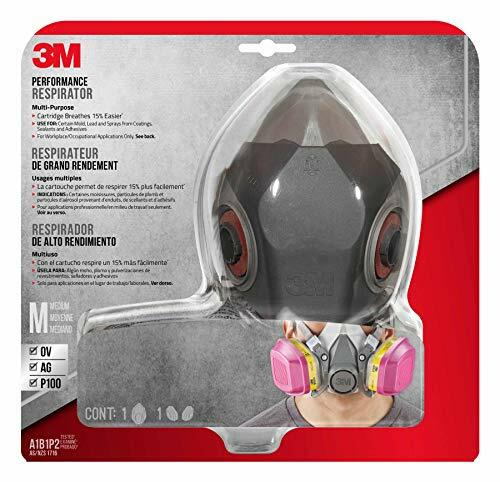 A true overall respirator, the 3M professional mask equipment can effectively block both particulants and vapor contaminants. It's low profile and compact design makes it a whole lot easier to be worn even in the most challenging set-ups. It meets both OSHA and NIOSH requirements which means that you can rest assured with the equipment's functionality and durability. Curious about other pest control chemicals? Check out our other detailed guides to help you deal with your pest problems.